She'd rather be anywhere than here in Ordinary, Montana. 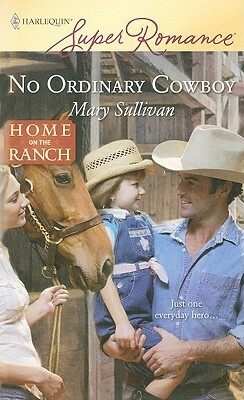 Tackling the books for a failing ranch as a favor to a friend is not city girl Amy Graves's scene. And every time Hank Shelter stonewalls her search for the truth, she wants to be gone yesterday. Seriously. Still, something about the Sheltering Arms calls to her. Maybe it's the open spaces. Maybe it's the inner-city kids having the time of their lives here. Or maybe it's Hank, who is proving too good, too kind to be real. Despite herself, Amy's falling for his charm. But to put the ranch to rights she needs to know what he's hiding. Even if it destroys the sweet thing developing between them. Home on the Ranch -- Cowboys, ranches, home and family-- stories you won't soon forget.